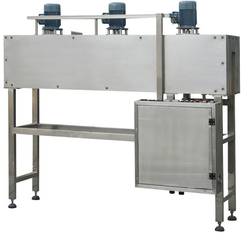 Capacity: 60 TO 120 BOTTLE/MIN. We are offering Automatic Shrink Sleeve Applicator Machine to our clients. o Fully automatic operation Fitted with digital PLC control. o No bottle - No sleeve feature (eliminates wastage). o Can handle round glass/plastic bottles. We are the suppliers of Shrink sleeve applicator. - Sleeve Size : AS per Customer Samples. 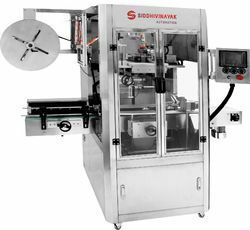 With a firm commitment to quality, we are involved in offering a wide ambit of Automatic Shrink Sleeve Applicator.